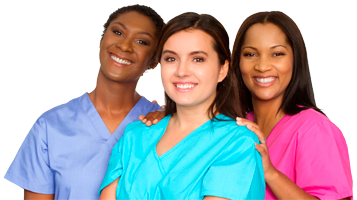 The nurses of AWHONN provide care for women and infants in hospitals and other facilities. Here, they share the latest health information and advice for your questions about women’s health, childbearing and infant care. For privacy reasons, don’t post personal health information; individual health advice is not provided at this site. Always follow up with your healthcare provider for symptoms or questions you have regarding your own health and wellbeing. Is this an emergency? Please call 911 for emergency care. What are those thick, crusty and yellowish flakes on my baby’s head? How do I safely store breast milk? What is that white sticky substance covering my baby’s body at birth? Premature Babies: Does my baby born early need extra sleep? Preemie: Are there any special considerations in diapering my premature baby? Preemie: What diapers and wipes should I use with my premature baby? What should my baby’s poop look like? My baby squirms through diaper changes—can it be easier? Why does mindful diapering during every diaper change matter to my baby’s development? How can I ensure my baby knows how much I love and care for them during every diaper change? My baby seems stressed during diaper changes! How can I calm and reassure them? How can I tell if my baby is stressed or in pain during diapering? What cues or signs will my baby give me? How can I ensure that my baby gets the best sleep possible? Why is it important to have a sleep ritual and teach my baby the difference between day and night? What routines help promote healthy sleep? Why do I need to bond with my baby? Preemie: How should I comfort and care for my premature baby? How many diapers will my baby use? Can I use zinc oxide to help prevent diaper rash? If I can’t bathe my baby nightly, how will they get to sleep? How do I take care of my baby’s umbilical cord? What if the newborn screening results are positive? Can I refuse newborn screening for my baby? Could I be at risk for preeclampsia? How do I get the results of my baby’s newborn screening tests?